Whether you want a Wall Bookshelf System or a stand alone Bookshelf System, we can help you. 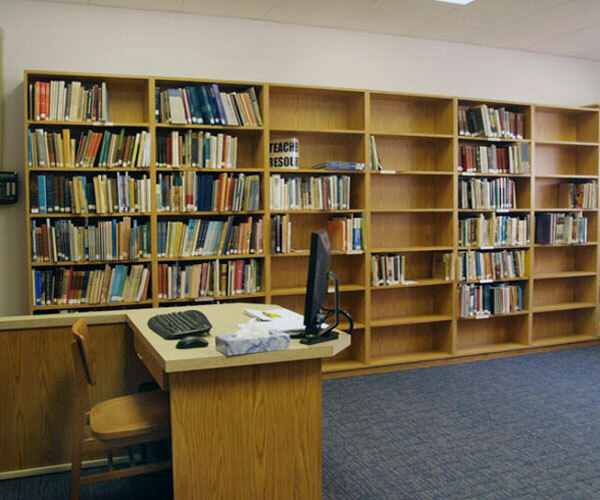 Depending on the size of your library, the collection of books, publications, magazines, and other material, we will design your Wall Bookshelf System and stand alone Bookshelf System. 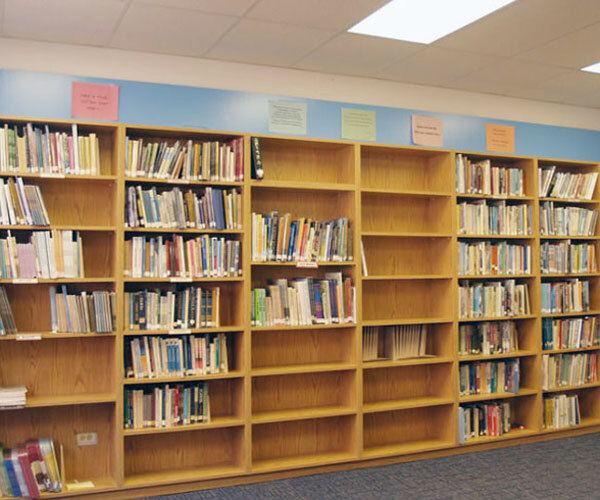 Our Wall Bookshelf System experts will visit your school or organization absolutely Free to give a design quotation. Call us today. Do you want to keep your Kid's room organized? We know that children do not mind a little extra help in keeping their rooms organized. With this in mind, we have added convenient drawers and headboards specially designed for Kid's beds. Utilize your children's Closet space by and keep the mess away. Whether you need to keep your personal books organized or planning a library project, you need to have Bookcases. 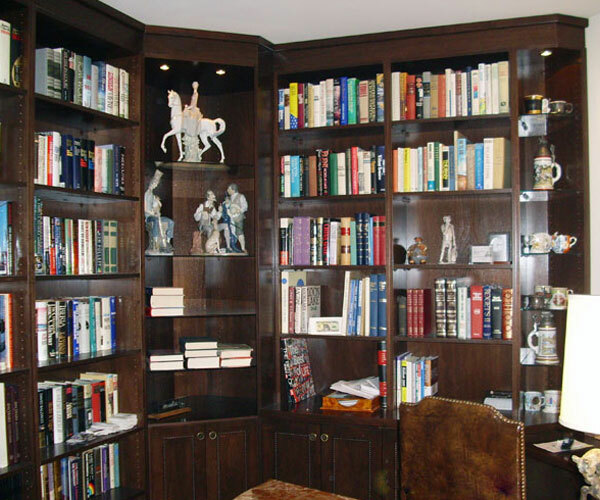 We design Bookcases including Wood Bookcases in Maryland, Virginia, and Washington DC. Our Bookcases come in many different colors. We make Wood Bookcases and also make MCP and paint grade Bookcases. Whether you are looking for Wood Bookcases or any other type, please call us Toll Free for a Free Design Consultation. We make Wine Racks, Wine Cabinets, wine beer and liquor storage units for wine cellars, bars, restaurants, and homes. Get matching bookcase shelf for your existing bookcase shelves or get a brand new bookcase designed by our expert bookcase designers. With the number of books that surround us, it is not surprising that one of the most sold items of furniture is Bookcases and Shelves. 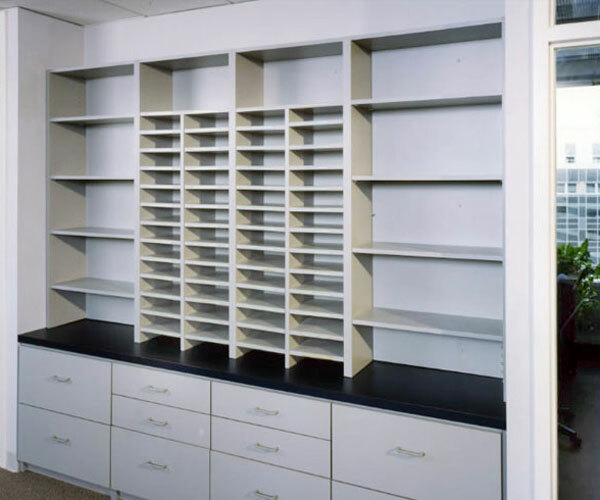 We use Office bookcases, library bookcases, home book cases and a lot more of Bookcases and Shelves in different places. Because of speed and ease, Office bookcases are more popular than office cabinets, and any office or cubby has its own Office bookcases. 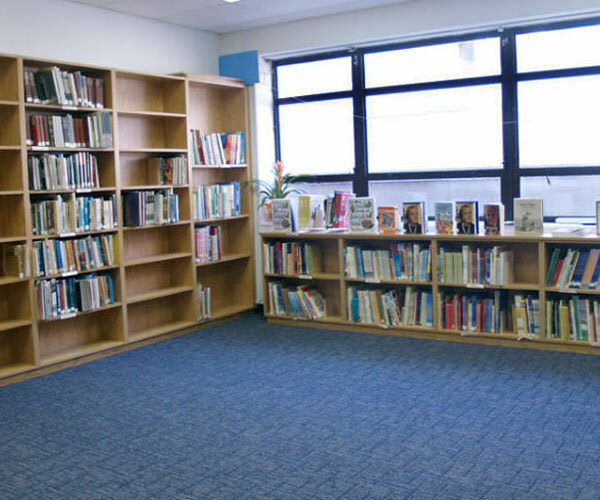 You can see all kinds of Bookcases and Shelves in libraries. Classic and elaborate Bookcases and Shelves in old mansions or modern metal and glass Bookcases and Shelves in modern libraries, which are all keeping our books safe. Usually all the professional Bookcases and Shelves are sturdy and strong, but sometimes we overburden our house Bookcases and Shelves with more books than they can withstand. Also home Bookcases and Shelves are usually more colorful. 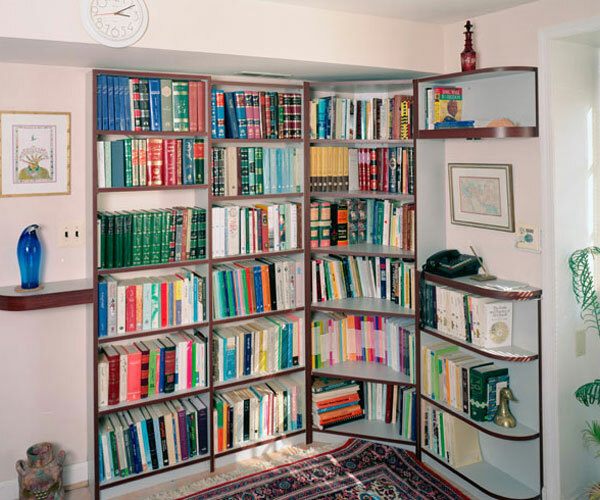 A vast majority of American households have a bookcase. Most homes have more than one bookcase. Many houses have a bookcase in many of their rooms. Books and reading are a big part of human life. Bookcases have also become a big part of our lives. 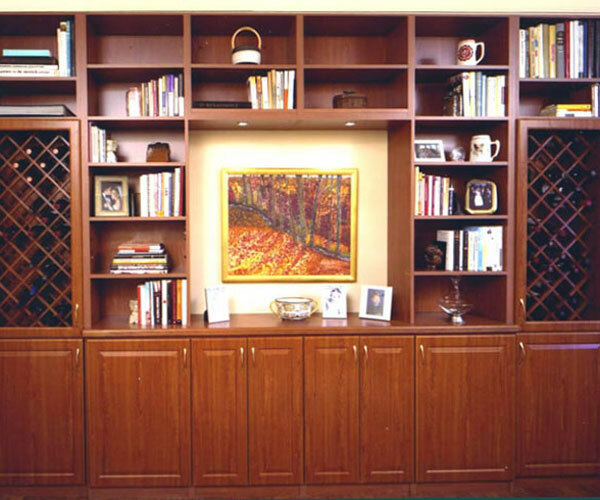 We have designed thousands of bookcases during the last 30 years. 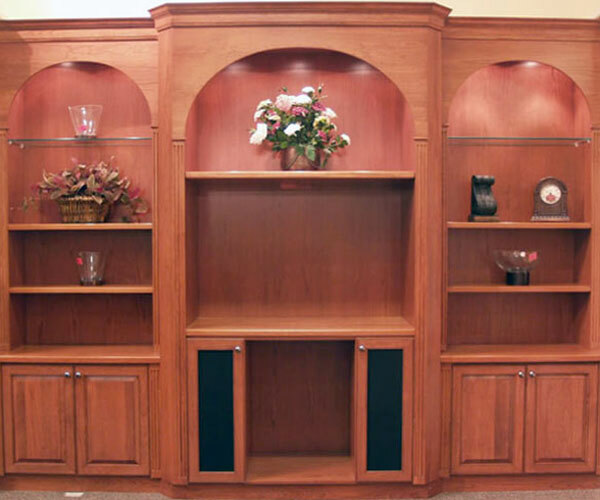 Call us to design your next bookcase or library for you. Talk to our design experts to find out how you can maximize the use of your Closet or Wardrobe by adding accessories. Ask us about our Jewelry Inserts or Double Jewelry Inserts for her Closets. We also have Belt Racks and Valet for his closets. Elegant Furniture TV Cabinets for your living or dining room. 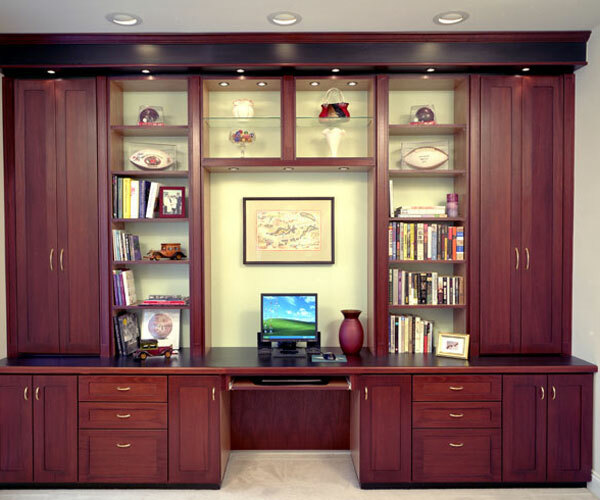 Custom make your TV Cabinet either as a TV Cabinet or a Home Office system. We custom make all cabinets to match your needs. Our professional designers design Furniture TV Cabinets with room for surround sound speakers, room for VCR and DVD's etc. We add elegance to our Furniture TV Cabinets.